The storytelling of the cultural fusing between social technologists and national and international innovation experts. The paper has been published in the Special Issue on Smart Cities, Volume 3, Number 4, 2014 of the international magazine Interdisciplinary Studies Journal (ISJ), from Laurea University of Applied Sciences, Finland. 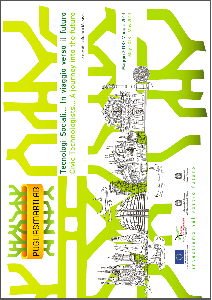 This article describes a method in an experimental phase, that was tested in Lecce (Italy) and introduces a vision of the city as a living lab, where the city user is a concrete actor in the changing process towards a Smart City paradigm. 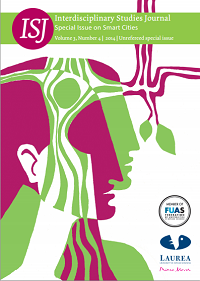 This report shows achievements of Puglia Smart Lab (PSL), the Living Lab created by Puglia@Service (a Dhitech Scarl project funded under the umbrella of PON REC 2007/2013 by the Italian Ministry of University and Research). 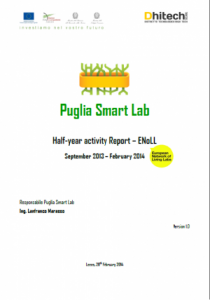 Puglia Smart Lab has been adherent member of ENoLL since the 7th wave in August 2013.